So you’re ready to start advertising on Instagram? Curious how to make your Instagram ads stand out from the pack? 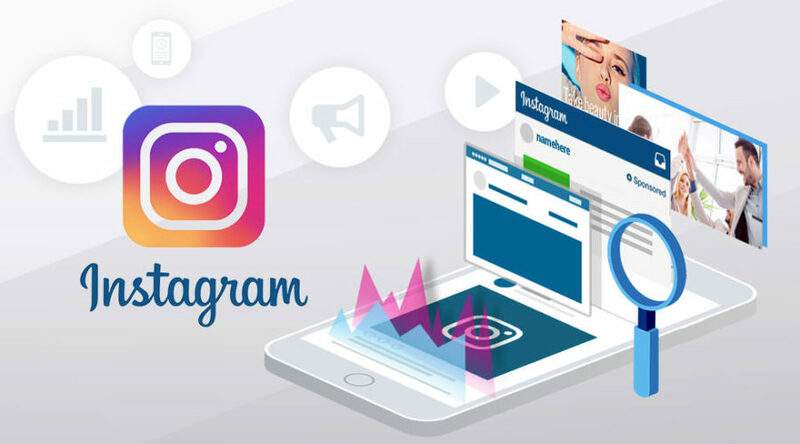 Instagram has recently released out some fantastic new marketing features to help advertisers gain more traction and drive traffic. Let’s look at how you can use these new features to create effective Instagram ads. Learn new features you can use to make effective Instagram ads. For quite some time Instagram ads objectives were comprised of mobile app installs, video views, and reach/engagement. But now we’ve got a new objective, one we’ve been waiting on for a while which is: Clicks to Website and Website Conversions. Businesses have been complaining since the start that users did’t have the option to click through from individual posts to specific product pages on their websites, the only link was the one on their profile. Of course, Instagram had their reasons, for example; links all over the place on every post. But when you run a campaign with the objective of website clicks, you can now have a link corresponding with an individual product (or service). This New Instagram ad objective finally allows users to be sent directly from Instagram to your website from each ad. This objective is an option within all ad types such as: photo, video and carousel ads. Users will be delivered ads that show “sponsored ad” with an image, a description and a clickable CTA button that will take them directly to any page on your website. CTA’s or call to action buttons include: Book Now, Contact Us, Shop Now, and Learn More. To start using these ads today, pick Send People to Your Website or Increase Conversions on Your Website for the objective. Pick the objective of your ad. If you choose Increase Conversions on Your Website for the objective, you’ll be asked to choose what type of conversion to optimize for. Don’t forget to add a pixel to your campaign. 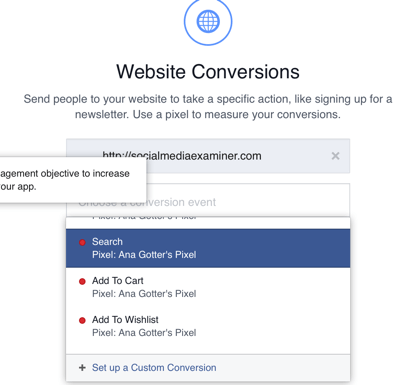 The Ads Manager will ask you to choose a conversion to optimize for and a pixel to track results. Next continue to creating the ad as usual, and make sure that you choose the best call to action. Remember, the call to action button is the only clickable part of the ad, so it needs to be chosen wisely and correlate with your offer. Remember, the call to action button is the only link, so choose this wisely. Another new feature for Instagram ads is the use of landscape and portrait formats. Previously you could only use square and had to format your ad images to fit this style. These formats allow you to make your images taller or wider than the that the previous square format allows. Not only does this allow you to make ads more easily as you envision them, but it also makes your ads stand out among the rest. As you are creating an Instagram ad, pick the format of your image in the creative section. Then upload your images, and you’ll see an option to crop it. Notice the gray circular button on the images, click this to choose the format. Click the gray button and select the cropping format you desire, landscape or portrait. Pick a cropping option at the bottom. Let’s try creating carousel ads for Instagram. First thing you’ll need to do is connect your Instagram account to Facebook. There are plenty of tutorials on Google if you need assistance with this step. Carousel ads are a great tool for those who want to really stand out, carousel ads are available for both Facebook and Instagram. Whether you want to advertise multiple products or services, or you just want to display a single product with multiple angles, or you want to tell a story, carousels are a wonderful addition to the ads platform. Instagram can be used as both a platform for selling and building brand awareness. Telling stories through carousel ads can be one of the most effective ways to target both of these goals. How to tell a stories with multiple ad images within an Instagram carousel ad. Let’s create a carousel ad in the creative section of the ad setup. 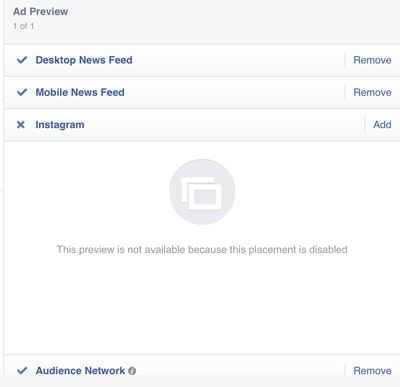 Once you are on the “create new ad” portion of setting up an ad, select Carousel. Select carousel to create a carousel ad. Next, activate Instagram as a placement for the ad. Click the “Add” button next to the title Instagram. Be sure to enabling Instagram in the ad’s placement options. Next, scroll to the section that says Image, Headline, Description and Destination URL. This is where you upload your ad image, set the headline and more. These area are fairly self explanatory but you can definitely find some examples by Googling successful Instagram ad campaign copy. Always preview your ad before launching to make sure it looks exactly how you want. Instagram is mostly images, so focus on making the image as a appealing as possible. Although there are many Instagram ad campaigns out there successfully running with strictly great images, video is truly the go-to if you have marketable footage. Videos have stopping power, and by that we mean users stop to watch and this can generate far more visibility of your Instagram ad. To start creating a video Instagram ad you need to choose the proper objective for your advertisement. Let’s choose video views for this ad example. Next let’s choose “upload video” and select the file from our computer. Choose upload video to start a new Instagram video ad. After selecting your video and uploading it, select the cover “thumbnail” you want users to see when the ad isn’t playing. This is extremely important, so choose the most clickable image. If there isn’t an exact still image you like, then upload your own photoshopped image if you like. Choose the cover photo and add a caption. Always sure to preview the video before you run the ad, and update the text if you need to. Remember, always preview your ad before launching the ad. Instagram ads are constantly being updated with new features for businesses like your to utilize. To get the most out of ads contact us today to chat about your options. Our team specializes in Instagram and Facebook ads and are here to discuss any future projects you might have in mind.